What is an OCT eye examination? The OCT examination is much more than a standard sight test. It uses a 4D Scan of your eyes to identify early signs of retinal disease. Why do I need an OCT eye examination? Just because you have great vision does not mean your eyes are healthy – It is easy to forget about your eye health when you have perfect vision. Leaving your eyesight to chance would mean you could be unaware of a problem in your eye until you begin having vision problems. Often this means its too late to correct more severe diseases. However early detection and prompt treatment can save eyesight, the majority of sight loss cases can be avoided through early detection and the correct treatment. 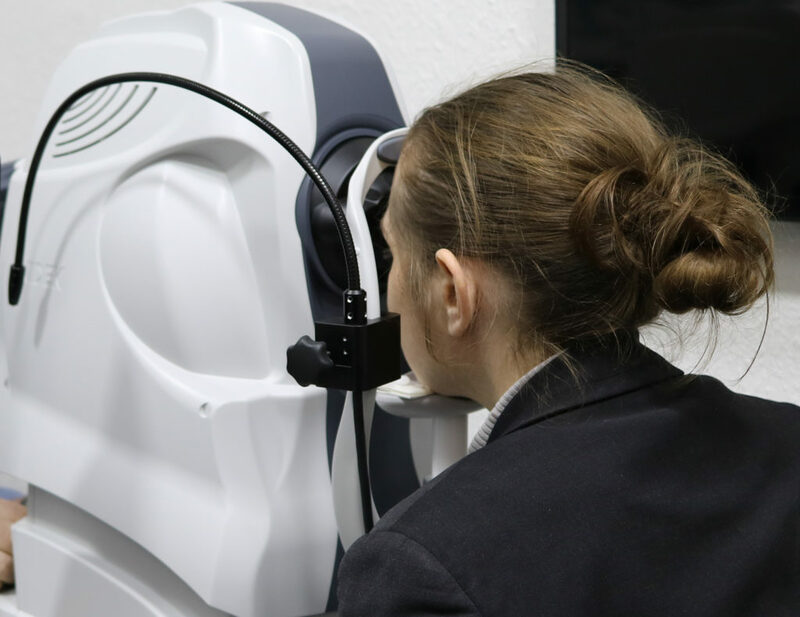 An OCT scan allows multiple scans of your eyes allowing for small changes to be picked up early, ensuring the most accurate way of monitoring your changing eyesight. offering you peace of mind in knowing we will see the smallest change before you do. What can an OCT pick up? Glaucoma is a hereditary disease that is often called ‘the thief of sight’, one in two patients with glaucoma don’t know they have the disease. You can be unaware that you have it until the disease has reached an advanced, and irreversible, stage as your brain compensates for the blind spots in your vision by filling in the gaps. Unfortunately, this can result in either ‘seeing things’ that are not really there or missing the things that are. 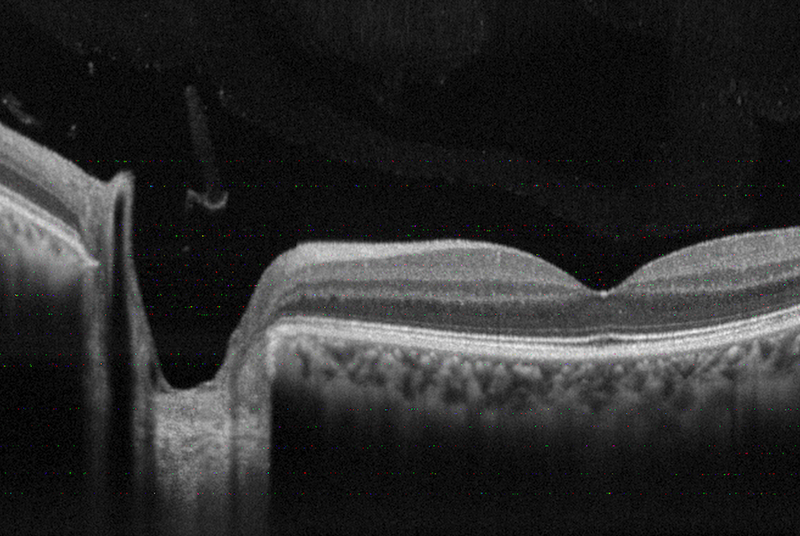 In a few cases AMD can cause serious sight loss destroying the central sight area. This can make simple tasks like reading, watching TV and more importantly driving impossible. It is still a surprising that one in two people with diabetes are completely unaware they have the disease. Let alone that it often causes sight loss. That is why early detection and treatment is important and can reduce the chance of sight loss with diabetic retinopathy dramatically. What should I expect from my 4D Eye-Health Check? The procedure couldn’t be simpler, just book an appointment and we will do the rest, the scan only takes a few seconds and is completely harmless, the camera doesn’t touch your eye.